✔️ADD 170% EXTRA BATTERY LIFE - For your iPhone XS without being tethered to a wall plug. ✔️COMPACT DESIGN - For comfort and portability. Additionally offers 360 Degree All Around Shock Protection for Wear and Tear. ✔️AUTONOMOUS CHARGING SWITCH OVER - While plugged in, charges your Phone first and then the Fiora Charging Case for Maximum Battery Usage. ✔️SAFETY CERTIFIED - with CE, FCC, ROHs Certification + Over Charging and Heat protection. Original design by Fiora™. The Fiora™ iPhone XS Battery Case is perfect for traveling or those times you need that additional battery life when your charging is not accessible. 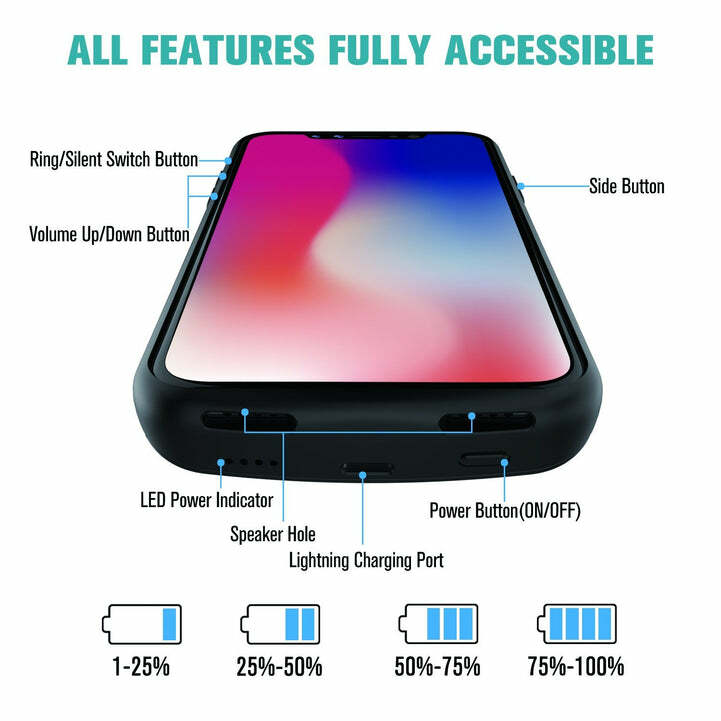 It great for day to day use as the charging function will always charge your iPhone XS battery first, and then will autonomously change to charge the iPhone XS charging case after your original battery has fully charged. ✔️Add 170% extra battery life for your iPhone XS without being tethered to a wall plug. ✔️ Compact design for comfort and portability. Easy Installation thanks to a soft top lip that also ensures security. 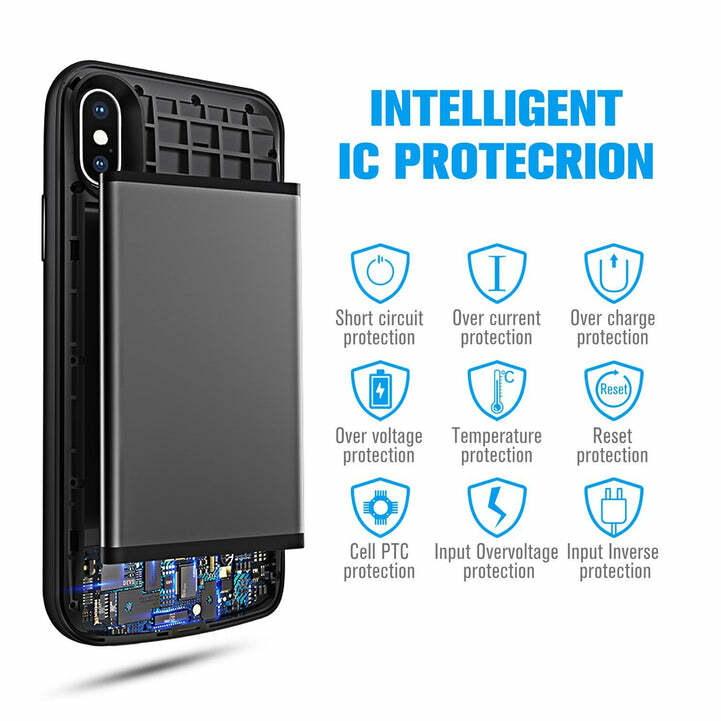 ✔️ Charging Case provides your iPhone XS with premium protection against wear and tear.